peter rymwid – Design Your Lifestyle. 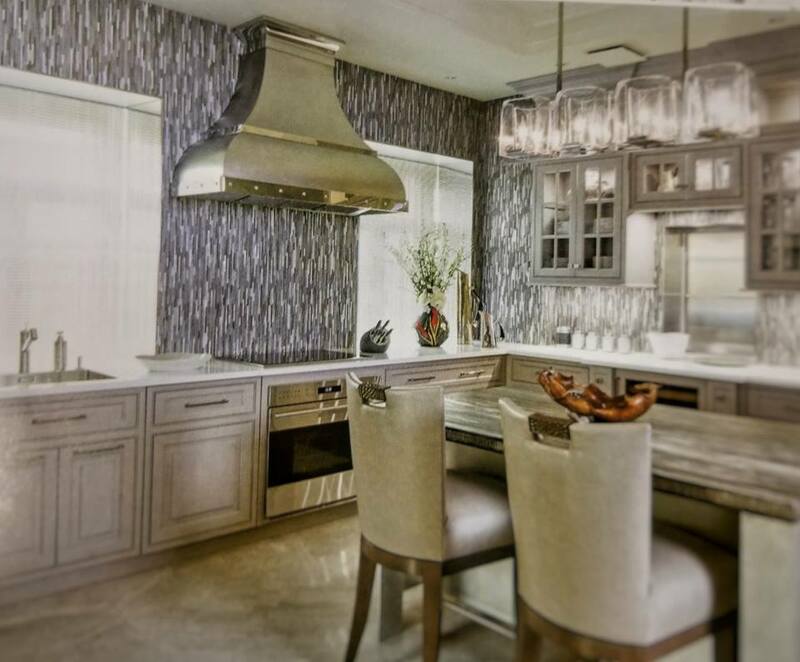 It’s been 5 years since Peter Salerno Inc. created The Jewel Box, a kitchen design that won the 2014 NKBA Best Small Kitchen Award and was named the 2014 People’s Choice Kitchen by HGTV. 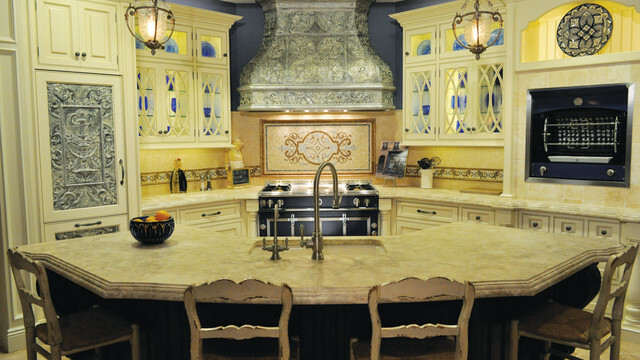 It was the third time since 2010 that Peter Salerno has been honored with a NKBA Best Kitchen award. 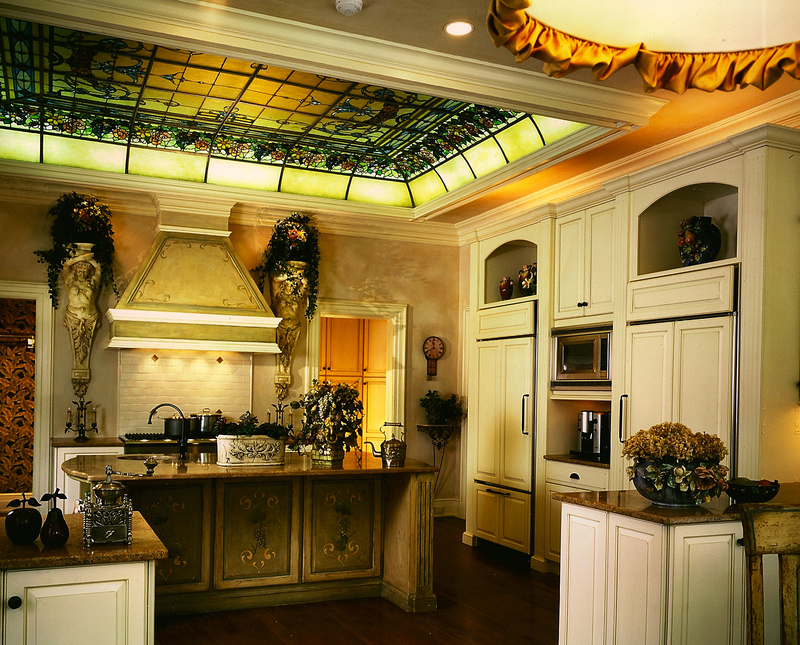 This kitchen was especially dear to Peter Salerno and his staff, and the design (which is being referred to as the “Jewel Box”) is being lauded as exquisite by a vast array of interior design and kitchen design media outlets. 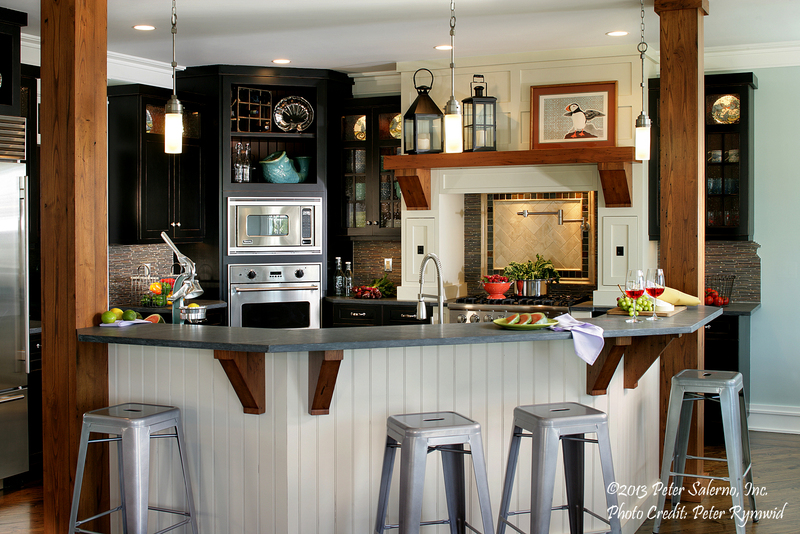 The 2014 Best Kitchen, Small Kitchen Category award was presented by the NKBA at the annual KBIS convention in Las Vegas in February 2014. Due to inclement weather, Peter Salerno and his team were unable to reach the 2014 KBIS convention, so it was an amazing surprise to be honored with this award. This kitchen has also been listed as a top 10 People’s Choice for Small Kitchen by HGTV, an honor which is also precious to Peter Salerno and his kitchen design team. 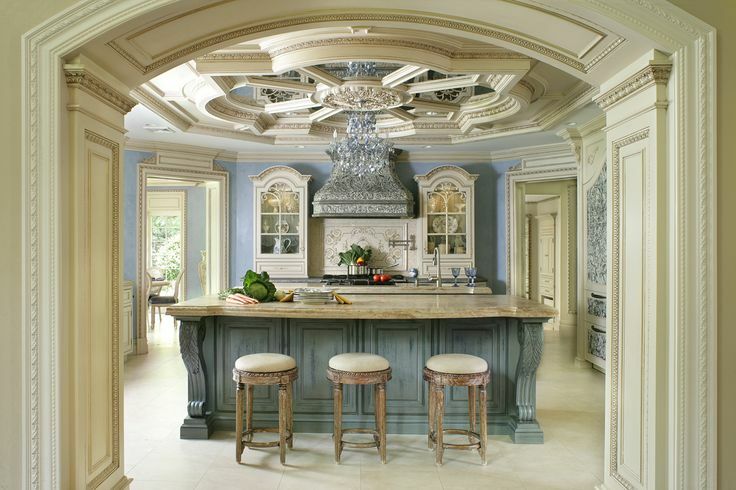 The fact that this kitchen design is loved by not just the owner but the interior design industry and fans of kitchen design is both flattering and humbling. For more information about Peter Salerno, Peter Salerno Inc., the KBIS and HGTV awards, and Peter Salerno’s award-winning kitchen designs, please contact Peter Salerno Inc. by calling (201) 251-6608 or completing the form below! August 2018 August 2018 Peter Salerno, Inc. Sometimes, a decent living space can become an outstanding one. 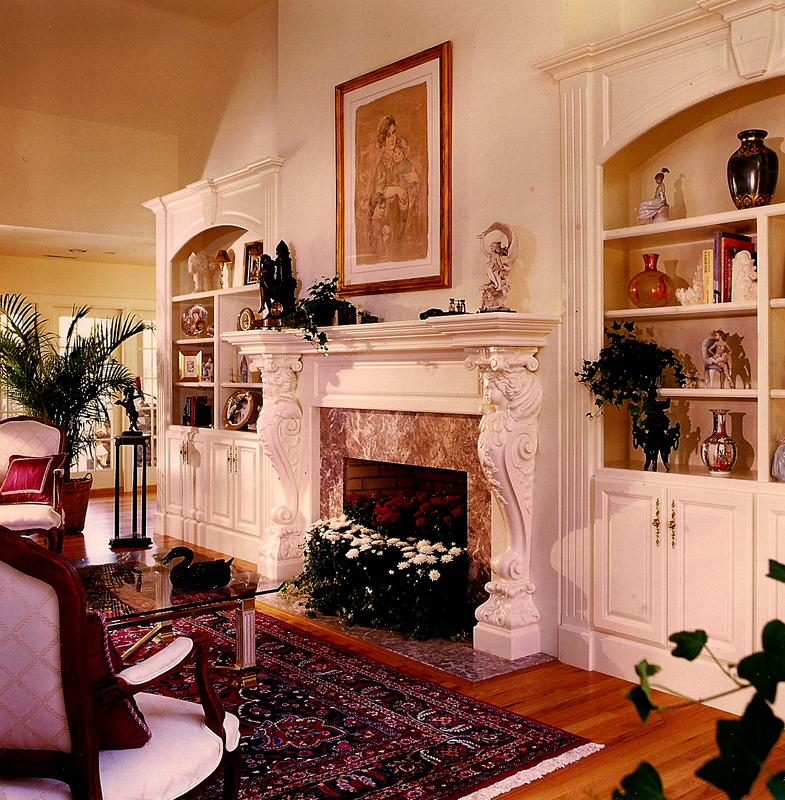 It just takes a great custom home design team and a smart re-design concept. 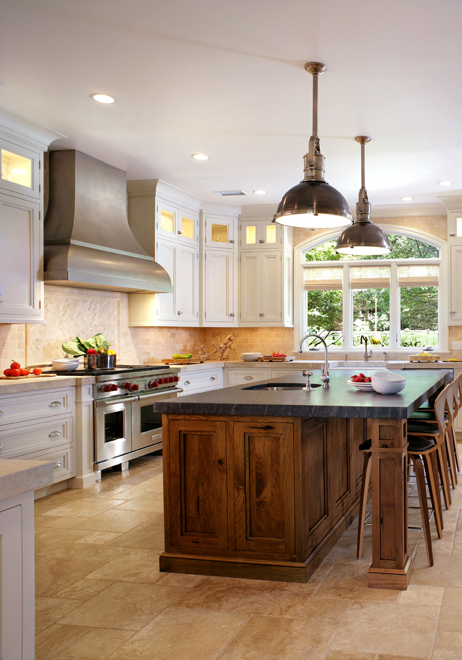 Today, we’re taking a look back at a simple-yet-stunning kitchen and living room re-design effort from Peter Salerno Inc. – the most award-winning North American custom kitchen and bath design firm of the last 15 years. The home in question had a ton of potential – it simply needed a better floor plan. With an expert eye and a focus on an open floor plan, better use of ambient light and brighter color scheme – all while maintaining function and ample storage space – Peter Salerno Inc. set to work. 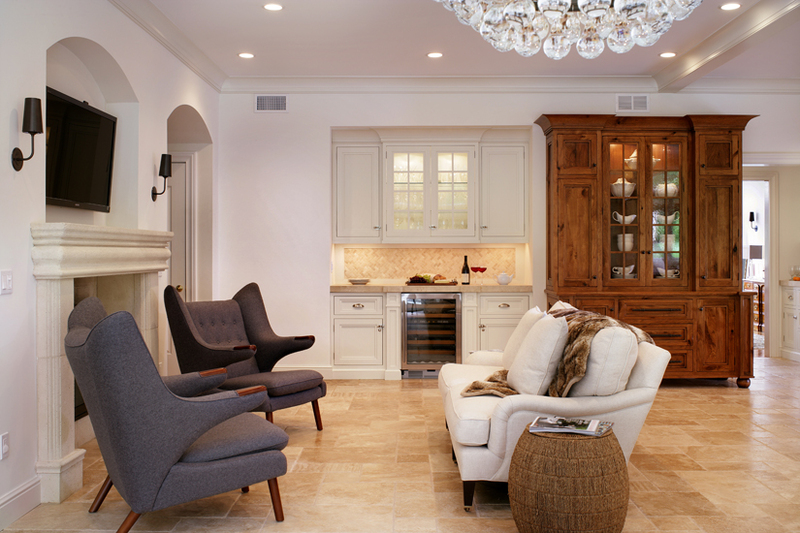 The resulting kitchen design and living room layout prove that strategy and planning matter every bit as much as other steps in your design process. Let’s take a look at a pair of “before and after” living room and kitchen design photos and see how Peter Salerno Inc. took a good living space and made it a great one! 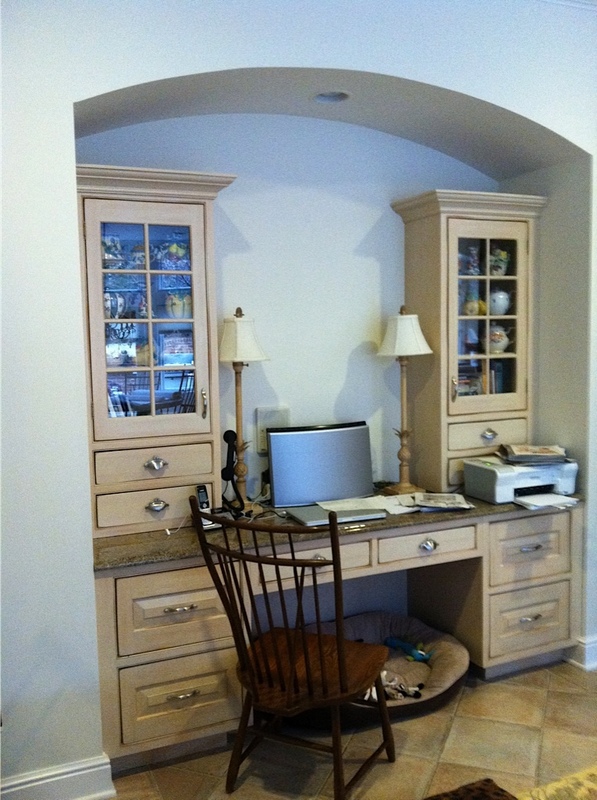 AFTER: A beautiful wine bar and credenza opens up the floor plan. 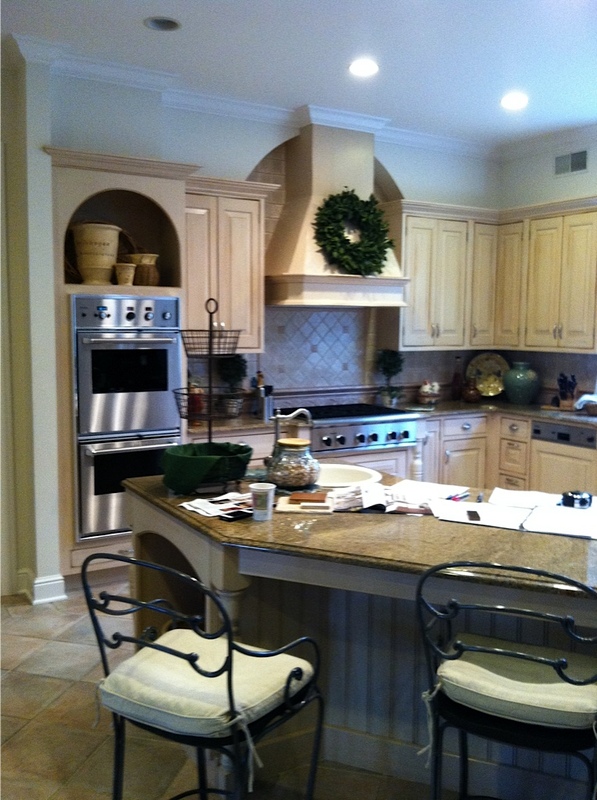 AFTER: A more streamlined cabinet design, custom range hood & intelligent kitchen island opens up the kitchen design. Thank You to the KBB For the Awesome Feature Article! Peter Salerno Inc. was honored as Most Innovative Small Showroom at the 2015 KBIS convention during their inaugural Innovative Showroom Awards. The people at the KBB (Kitchen and Bath Business, the geniuses behind the KBIS convention) were generous enough to follow up Peter Salerno’s Innovative Showroom award with a wonderful piece about Peter’s award-winning design showroom in Wyckoff, New Jersey. The article, titled “Showstopper” (click the link to read it! 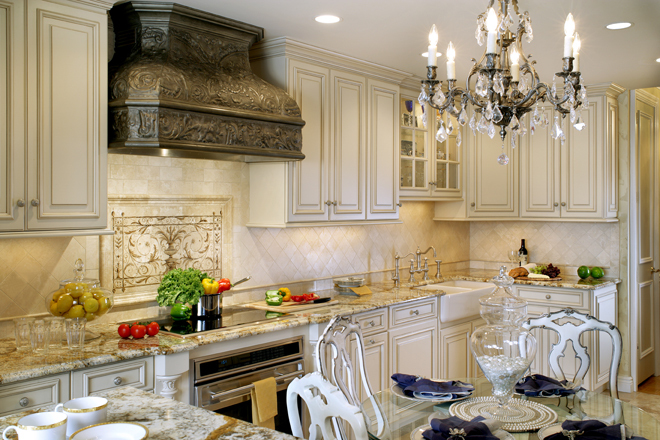 ), covers various aspects of Peter Salerno Inc.’s renowned kitchen and bath design showroom, and includes quotes directly from Peter Salerno as well as a linked photo gallery of exclusive Peter Salerno Inc. showroom photos. KBB journalist Erinn Waldo, the author of “Showstopper”, provides a comprehensive and enjoyable review of Peter’s showroom. From the birth of Peter’s showroom (with the gifted Ellen Cheever), to the 2015 KBIS Most Innovative Small Showroom award, it is quite a journey through time and design! Special thanks goes out to Erinn Waldo, a thorough and highly professional journalist, for her coverage in this article. And, as listed in Erinn’s original KBB article, the Peter Salerno Inc. showroom truly was (and is) a collaborative effort. Thank you to ALL listed below, as well as Peter’s outstanding clientele and staff! Antique Tin Hoods/Panels: Simply Amy LLC, Milford, N.J.
Appliances: La Cornue, Paris France; Oberg & Lindquist Corp, Wyckoff N.J.; Sub-Zero Wolf Inc. 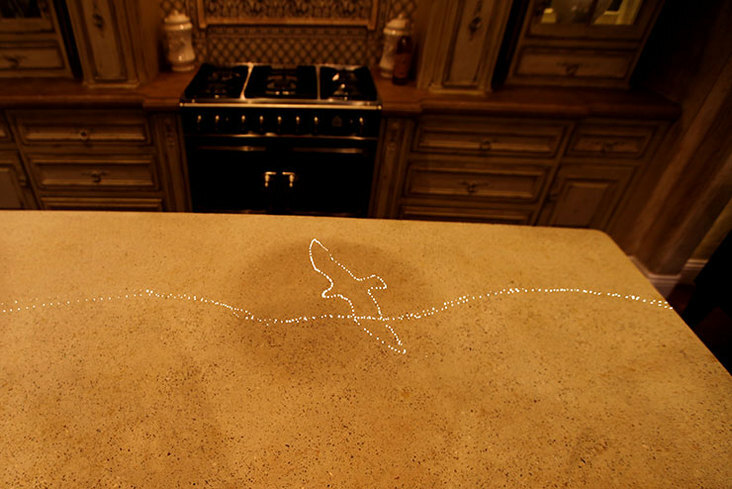 Concrete Counters and Specialty Pieces: J & M Lifestyles LLC, Randolph, N.J. 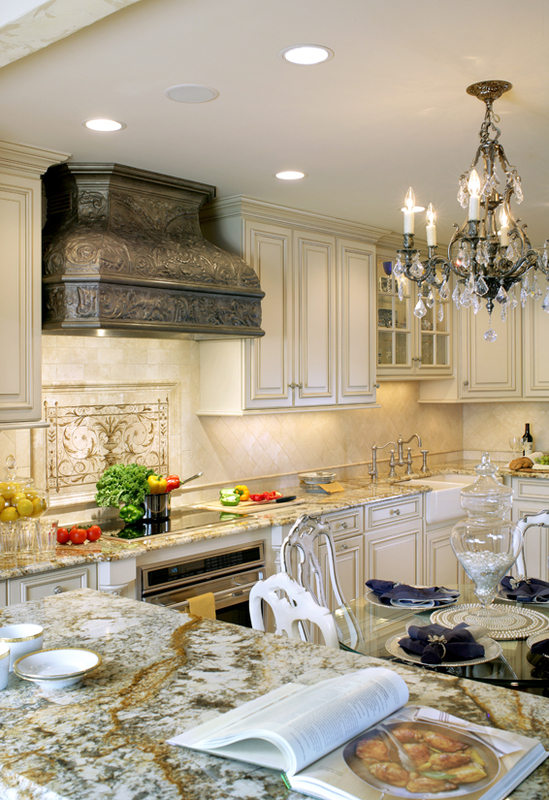 Lighting Fixtures: Capital Lighting Inc., Paramus, N.J.
Reclaimed Wood Products: Southbend Building Products, Cornelius, N.C.
Stone Counters: Stone Surfaces Inc., East Rutherford, N.J. Tile Backsplashes and Flooring: Stratta Inc., Wyckoff, N.J.
Design Your Lifestyle Turns 5: A Look Back! June 2018 June 2018 Peter Salerno, Inc. This month, we celebrate our fifth anniversary at Design Your Lifestyle. We’re so grateful to our readership, contributors and especially our parent company, Peter Salerno Inc. Without everyone’s support, this ‘little vision’ of ours wouldn’t have become as well-read as it is today! Our first article was a simple-yet-delicious recipe for Rosemary Lemonade (which you can still find here). 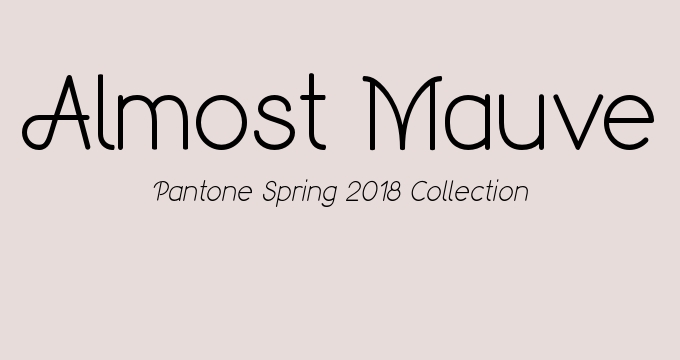 We followed that up with an exclusive interview that’s still one of our favorites to date – with Ren Miller, editor-in-chief of Design NJ Magazine. 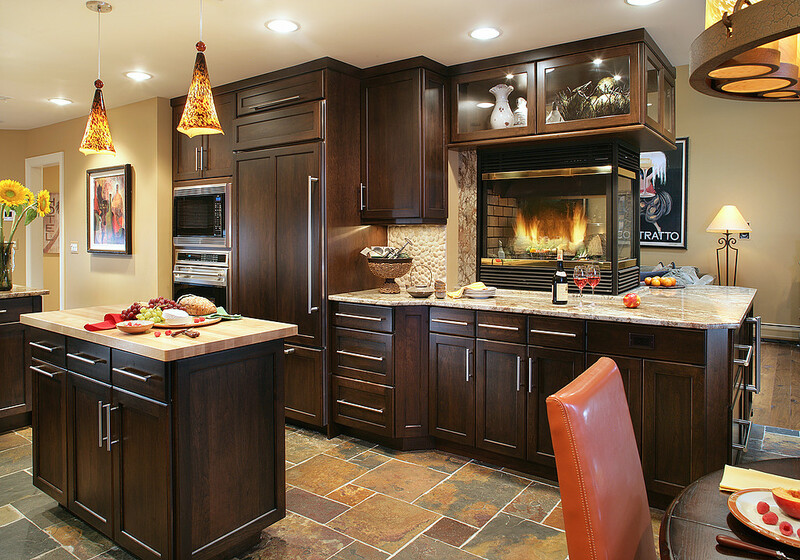 NKBA Best Kitchen of 2012, Peter Salerno Inc. – one of our site’s first features! Since then, we’ve published over 450 articles about topics ranging from kitchen design to coffee makers, bath design to backsplash tile, classic Italian recipes to modern transitional design. We’ve benefited from the travels and experiences of Peter Salerno, CMKBD, as he drew design inspiration from travels to the French countryside, Moscow, and a myriad of world destinations. It was also quite a privilege to get Peter’s VIP “insider access” to renowned home design trade shows and conventions like KBIS (the Kitchen & Bath Industry Showcase, hosted by the NKBA) and the Architectural Digest Design Show. 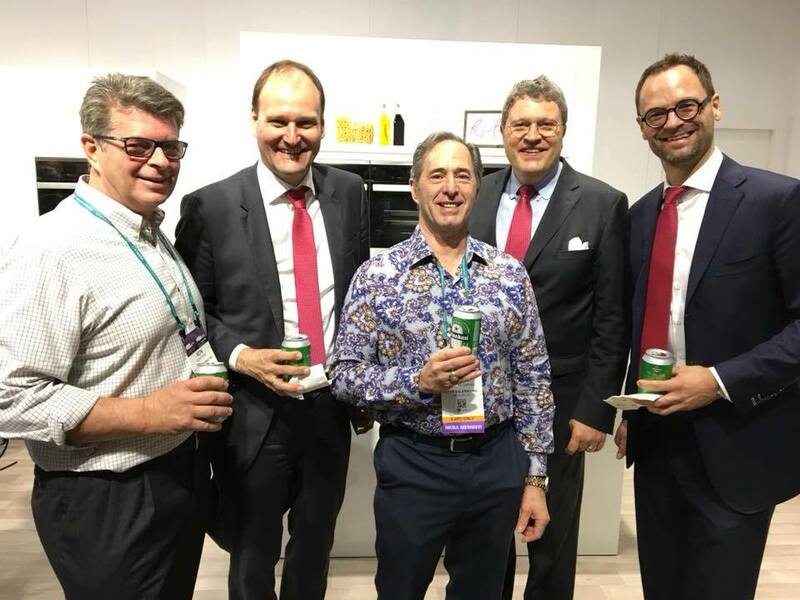 Peter Salerno with the Miele family at KBIS 2018. 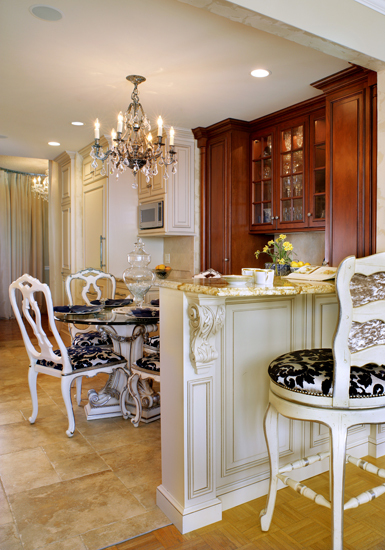 We’ve also gotten exclusive information from some of the most reliable sub-contractors, specialists, designers and vendors in the custom interior, home and kitchen design industries, as well as some of Peter Salerno Inc.’s most trusted business partners. In the past, we’ve leaned heavily on the expertise and experience of people like Craig Kmiecik of Purcell Murray, Mary A. Moulds of Miele USA, and members of Peter’s staff. 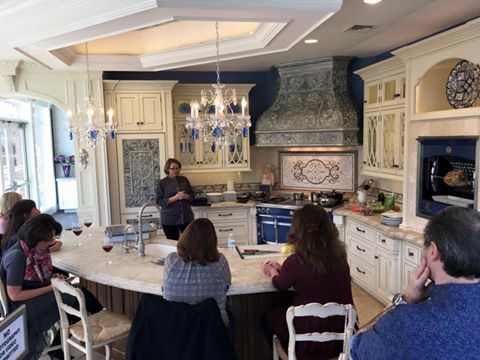 Larissa Taboryski of Purcell Murray and La Cornue hosts a cooking class at Peter Salerno Inc.’s showroom. And then there’s the stunning kitchen design, bath design, wine cellar and showroom photography, much of which is attributable to Peter Rymwid – one of the finest photographers of interiors in the world. 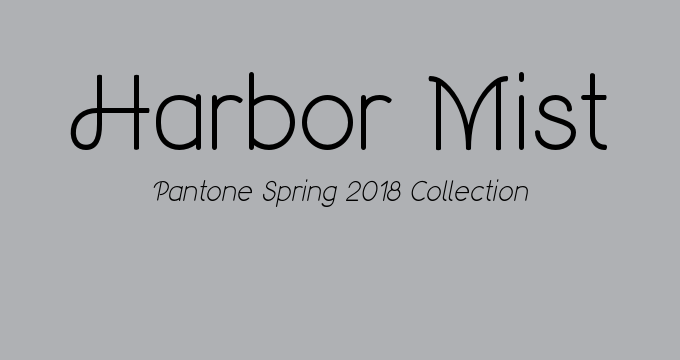 All this has been interlaced with fun recipes, tips and tricks for purchasing cutlery, appliances and range hoods, and exclusive looks at Peter Salerno Inc.’s world-class, award-winning design showroom. We hope you’ve had half as much fun following Design Your Lifestyle over the last five years as we’ve had creating content for you – now, let’s get back to business. On to the next five years! 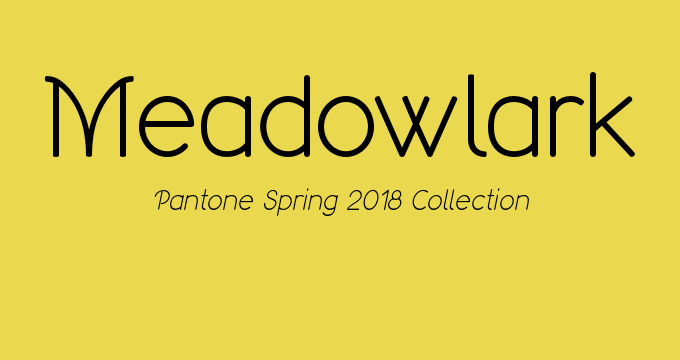 May 2018 May 2018 Peter Salerno, Inc.
Much of the photography you see on Design Your Lifestyle comes from one impeccable source: Peter Rymwid. For over 2 decades, Peter Rymwid has been a pre-eminent photographer of architecture, kitchen design, bath design, interiors and landscapes. 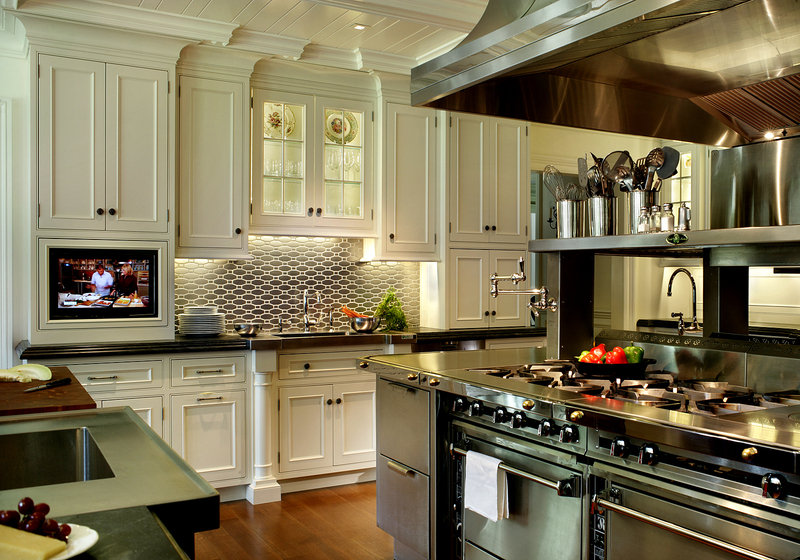 Peter Salerno Inc.’s award-winning 2015 kitchen design. Photo credit Peter Rymwid. At Peter Salerno Inc., we’re all about the extraordinary. We take the utmost care and pride to bring our clients one-of-a-kind, award-winning designs that change the way they live. 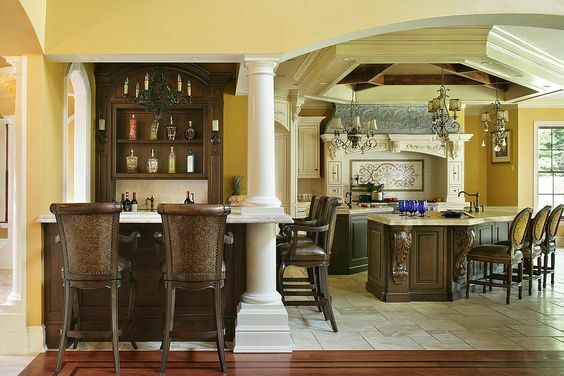 From kitchens to baths, bars to “man caves” and beyond, Peter Salerno and his team of designers find joy in transforming the personal and professional spaces of their valued clients and friends. Peter Salerno loves to share photos of his work that truly display the craftsmanship, artistry, and attention to detail they possess. When it comes to that high level of photography, we have come to trust the phenomenal Peter Rymwid as our “unofficial-official” Peter Salerno Inc. photographer. Peter Rymwid has lent his photography prowess to some world-renowned projects. During the run of hit reality show “The Apprentice”, Peter captured exclusive photographs of Donald Trump’s Boardroom from the series. 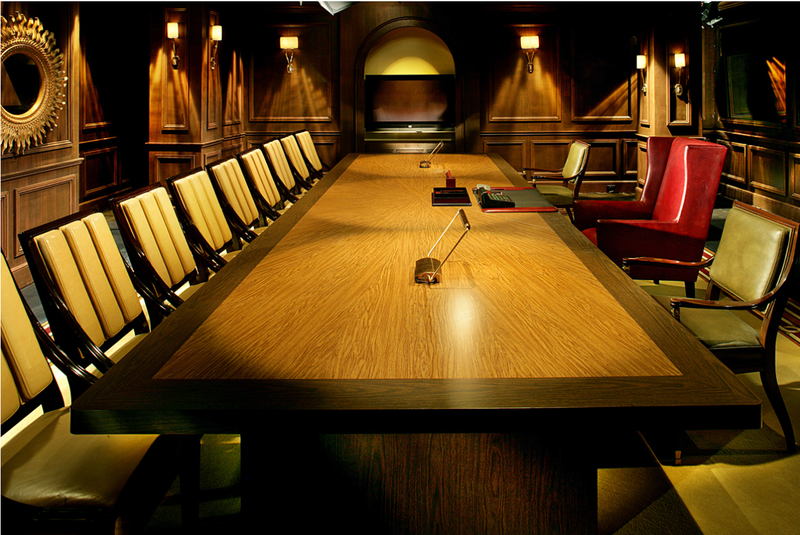 Exclusive photo of Trump’s Board Room from The Apprentice, by Peter Rymwid. Peter… has been photographing interiors and architecture for more than 20 years. During that time, his work has appeared on an unprecedented number of covers of books and magazines – more than 100 in all. Peter finds, captures and delivers true elegance and the uniqueness of each interior he photographs, producing a lasting record and an immersive, memorable experience for the viewer. We cannot thank and praise Peter enough for the stunning photography he’s provided to Peter Salerno Inc. – and by proxy, to us at Design Your Lifestyle. Take a moment to enjoy these gorgeous kitchen, bath, interior and architecture photos from the masterful Peter Rymwid. 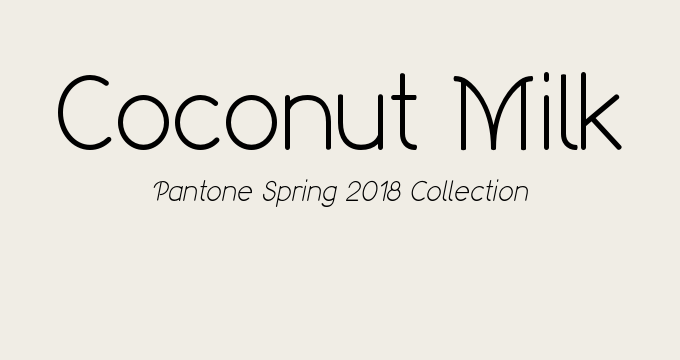 March 2018 March 2018 Peter Salerno, Inc.
What good is a stunning color design palette if you don’t put it to use? 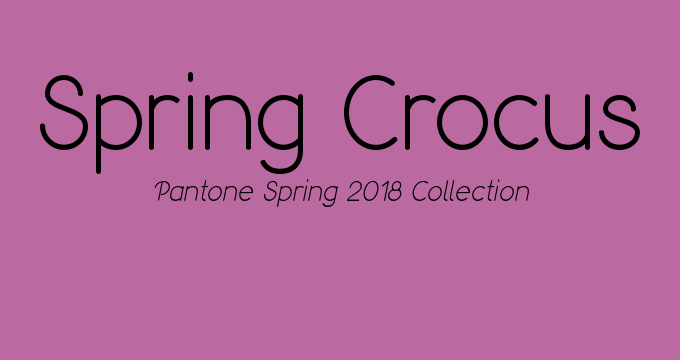 That’s the question we set out to answer when creating a Pantone Spring 2018 Home Design Ideabook, utilizing 8 Pantone Spring 2018 colors in four distinct combinations to give a ‘visual pop’ to this brilliant color collection. 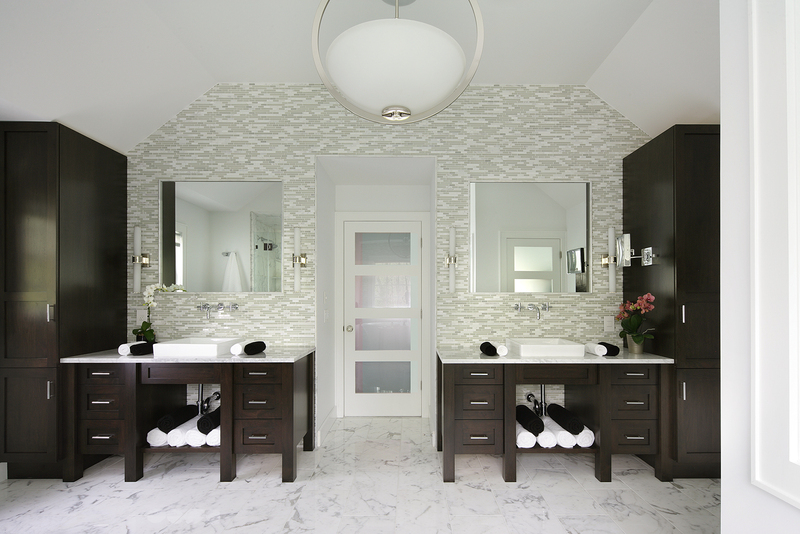 As always, the design photos featured were taken by Peter Rymwid, and the designs themselves were created and executed by the brilliant Peter Salerno and his team at Peter Salerno Inc. 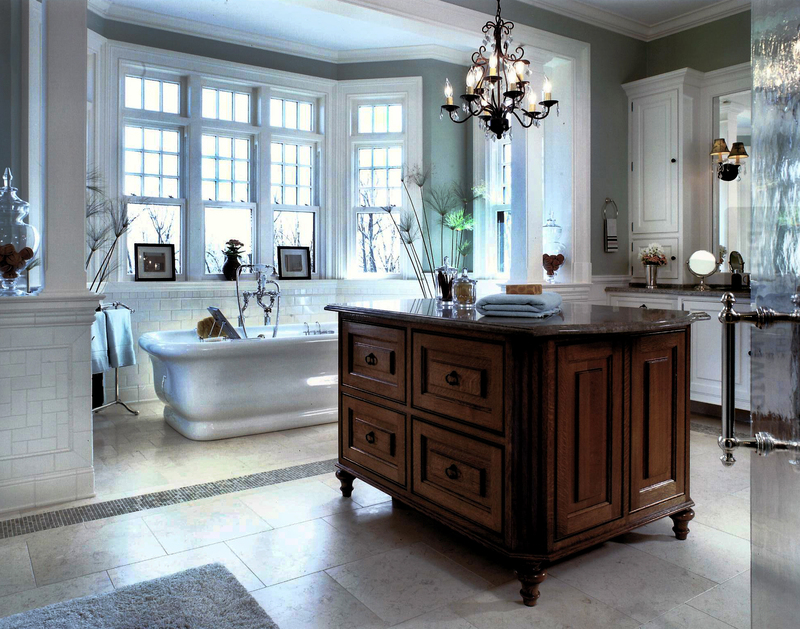 Since its inception in 1997, Peter Salerno Inc. has been at the forefront of custom kitchen and bath design. 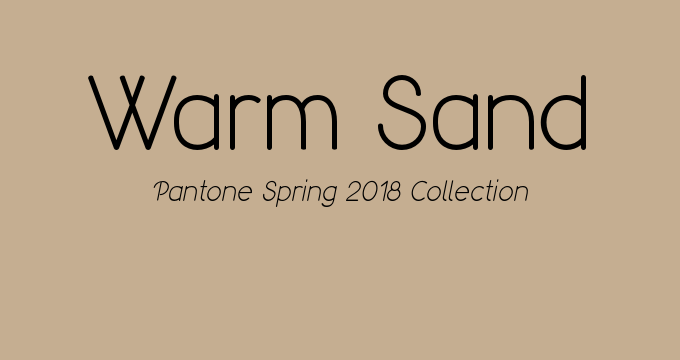 Since 2002, no North American design company has won more national design awards than Peter Salerno Inc.
As with past Pantone seasonal ideabooks, Design Your Lifestyle attempts to present this season’s hottest trending colors in as many different home design forms and functions as possible. 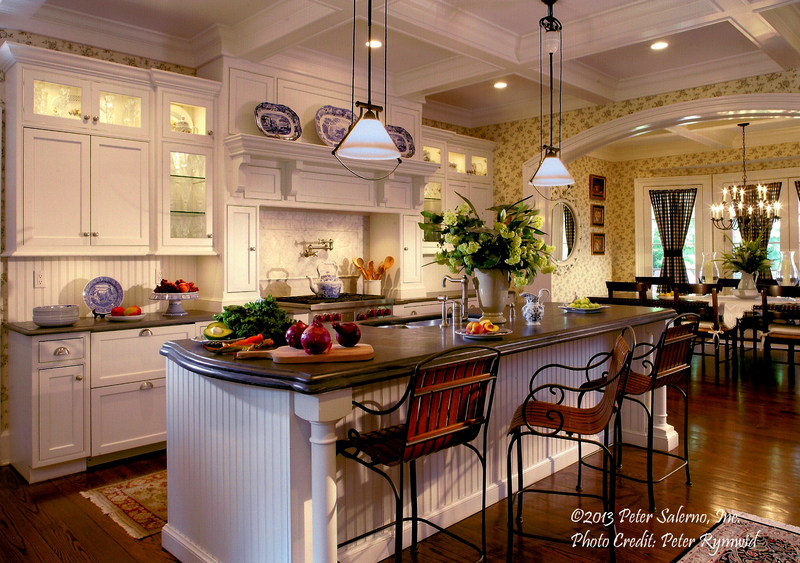 In the Spring 2018 edition, we present Peter Salerno Inc. designs for a traditional living space, a transitional kitchen, a beach house kitchen, and a traditional kitchen/bar combination design. 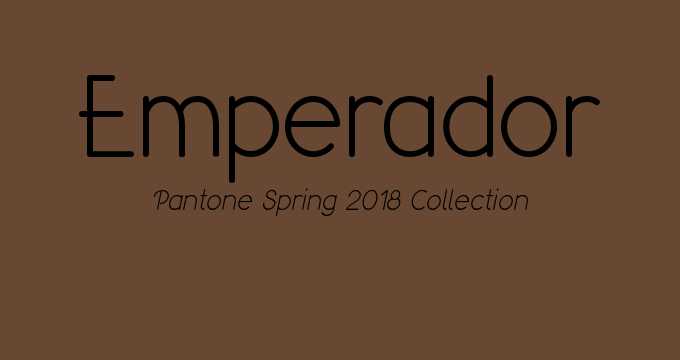 We also did our best to represent all facets of the Pantone Spring 2018 color palette, highlighting neutrals, bright tones, pastels and the classic color palette. There’s certainly a design featured here for everyone’s taste, and we hope you all find something from which to draw design inspiration! 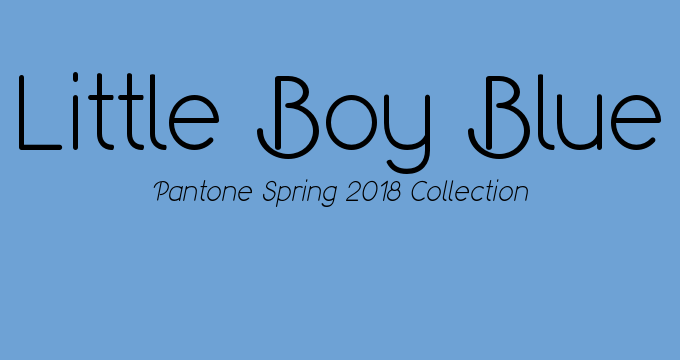 We’d love feedback on the Peter Salerno Inc. designs featured, the outstanding Peter Rymwid photography, and the Pantone Spring 2018 color collection as a whole. Don’t be afraid to interact with us in the comments section, and make sure to subscribe to Design Your Lifestyle for the very latest in home design and design trends! 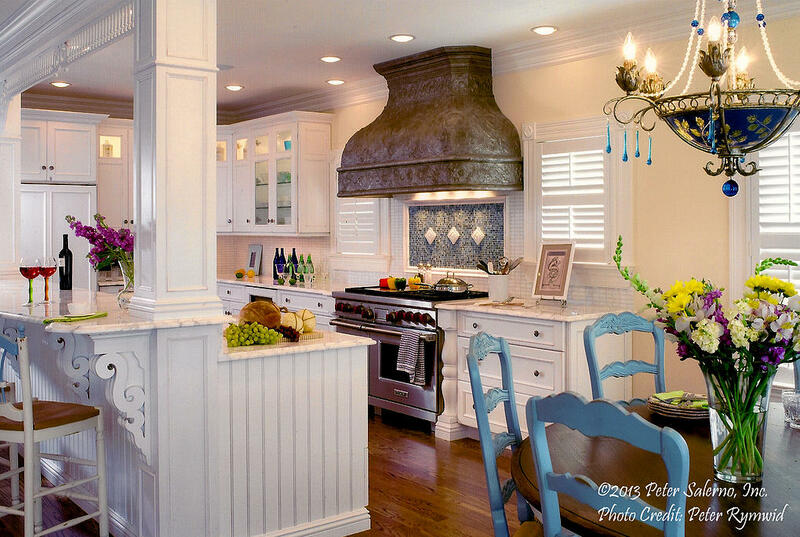 Go Green for St. Patrick’s Day and Liven Up Your Kitchen Design! It’s said that we’re all a little bit Irish on St. Patrick’s Day. Whether or not that’s true, Peter Salerno and his team can’t help but feel lucky (and blessed) to have such outstanding clients and recognition from some of the most prestigious names in the kitchen and bath design industry. This St. Patrick’s Day, Peter Salerno Inc. encourages you to “Go Green” in one of several ways. Whether it be adding “green” function to your space and becoming more environmentally conscious, or simply adding a “pop” of lush green to your living space, it’s always fun to get in the St. Patrick’s spirit! Adding a splash of green (flowers, vegetables, etc.) 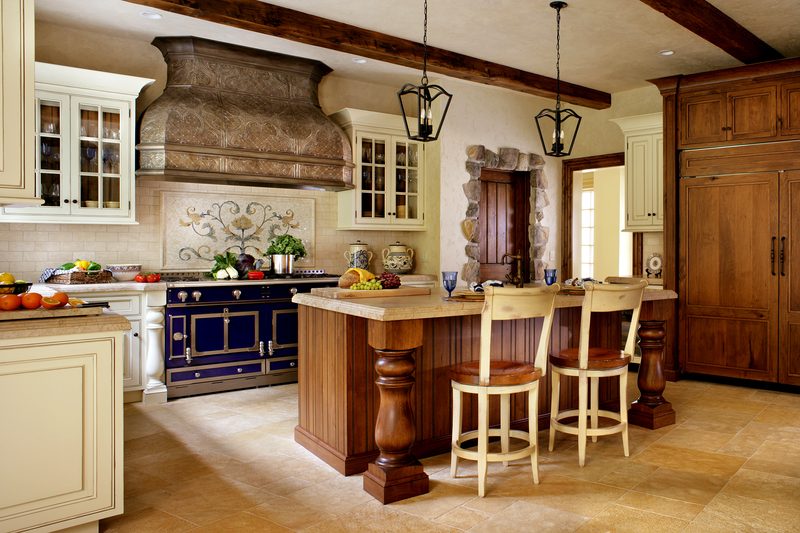 to a kitchen design is a Peter Salerno hallmark. 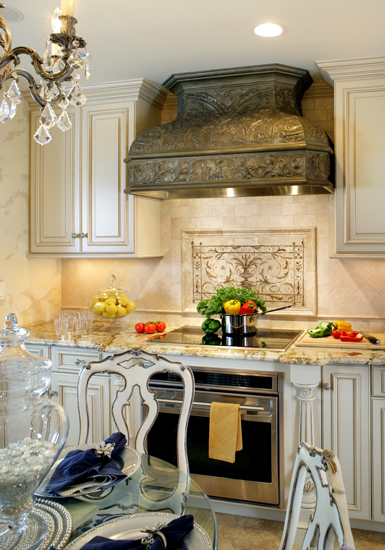 One of Peter Salerno Inc.’s signature touches in any of its custom, award-winning kitchen designs is the incorporation of fresh flowers, fruits and/or vegetables to the finished product. 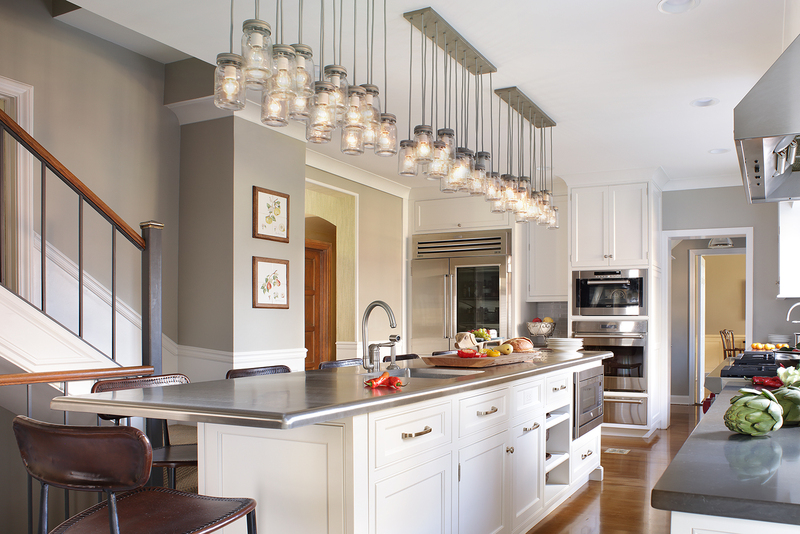 This trend is highlighted in the outstanding photography of Peter Salerno’s kitchens (taken as always by the outstanding Peter Rymwid). 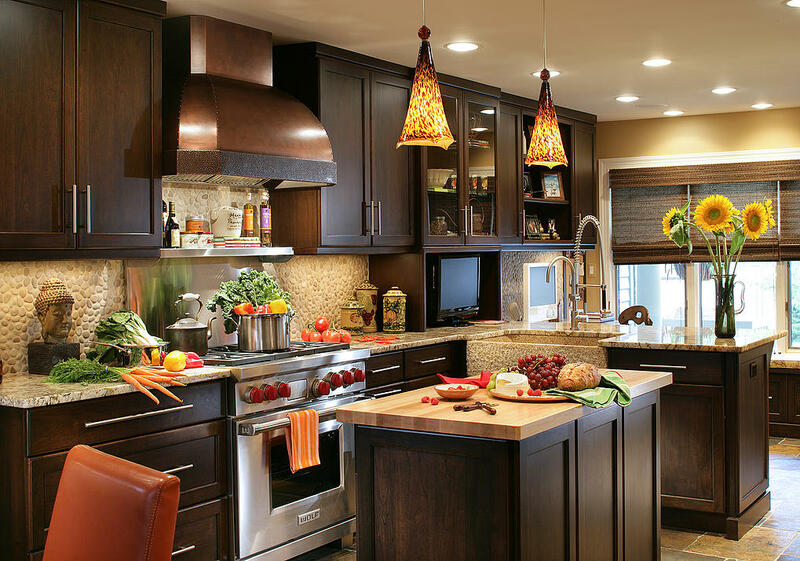 Whether it be a vase of gorgeous lilies, sprigs of fresh herbs or bold leafy greens, adding fresh flowers or vegetation as a “special gift” is a personal touch Peter Salerno Inc. loves to give its clients upon delivery of their new kitchen designs. And hey – around St. Patrick’s Day, it never hurts to show off a little extra green! Here’s hoping you, your family and loved ones have a fun, safe and festive St. Patrick’s Day this year!